While this topic is one that can bring heated discussion, so far everyone has been civil. I appreciate this you guys. ^_^ Difference of opinion is great and so long as we speak to one another with respect, it's all good. Hopefully the point of this thread was genuine discussion and not a means to try and start silly drama... >_> That sort of thing will not be tolerated here. Welcome to the forums, and thanks for sharing your ideas! It's definitely understandable that one may want this issue introduced in the series in some way or another. Besides, maybe it's just me, but I find it hard *not* to get that vibe from the two heroes. Even if what is going on between them is mere bromance and nothing more, it still doesn't seem entirely out of the question that they lean in at least a few different directions. Personally I have been a supporter and advocate of LGBT issues for a long time. That said, I have mixed feelings about this sort of thing. Do we really want the show to turn into a commentary on this issue? It could end up being a distraction. And that doesn't apply to just LBGT issues, but *any* attempt the show would make to be a platform for social commentary. It is not necessarily *wrong* if the show does this. The show parodied political corruption via Mayor Manx, what with his shady business dealings and perpetual raising of taxes. (I wonder if eventually we'll see Manx want to build a wall and make Dark Kat pay for it. ) Also, look at the rampant pollution and other things that appear within the show. There is plenty of room in the series for satire and subtle critiques. The show could also very easily go in the direction of the "Deus Ex" series and ask tough questions about our relationship with technology. But again, how far do we want to go with all this? At the end of the day, do we want an editorial or do we want something that's just fun to watch? We have had shows that were obvious attempts to get messages across, such as "Captain Planet." I'm not 100 percent sure if that's what this show needs to be. If it could be done in a *subtle* way, it could be more effective, still get the point across and yet not detract from the overall show. But that's just one idea. Mikazo wrote: Welcome to the forums, and thanks for sharing your ideas! However I doubt this would be addressed in the show itself as it was never really a show that spent too much focus on the relationships of the characters. I'm not saying hints of interest between characters weren't there as lets face it, there were but the thing is those hints were never really followed up on. They had a limited run time and tend to focus on the monster and bad guy fighting action. The only time the romantic relationships of show characters came up were when they were tied to the plot i.e. the Metallikats being married, Turmoil and Tbone's mutual affection and Pastmaster looking to hook up with shekats of a certain type. Maybe in the new show, there will be more chances to explore relationships esspecially if the show can start to explore story archs rather than sticking to one shot episodes where the status quo has to remain the same at the end of every episode. Perhaps we will have LGBT characters introduced or past characters revealed to have been LGBT but the important thing is it not be treated as a big deal. As Mikazo said, if it could be done subtly, then maybe. It's interesting to speculate on how the show could achieve this in a more subtle way. I imagine a scenario in which a character, let's say Jake just for sake of example, works with another male character in some capacity. Maybe another quasi-hero, maybe some insider in Enforcer Headquarters or someone who helps him get parts and equipment and things, who knows. At some point in the series, they give each other a little wink or some other gesture. Just enough so that the astute viewer knows there's something going on, but not enough to explicitly push it out into the forefront. That's just one example, but it seems to me you would want *just enough* so as to still preserve the show's overall neutrality and not lose focus on the main subject. Although, just to have some fun here, how about this? Remember how T-Bone had ostensible feelings for Turmoil, a villainess? What if Razor and a villain developed feelings for each other? Not sure if this ship has sailed yet (ship - heh heh), but what about Hard Drive? He's a rebel, a techie and gearhead and seems to have a lot in common with Razor. I could see this sort of love-hate dynamic between them, or a rivalry that isn't entirely antagonistic, and it could make for some hilariously awkward moments if they actually had to fight each other. 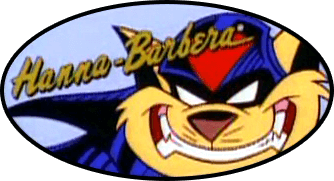 That could also lead to some interesting character development too - he might eventually switch sides and do some *good* things for the city, or through his interactions with Razor reveal a softer side and confront certain problem areas in his past, or maybe break away from working for Dark Kat. Just an idea! Mikazo wrote: It's interesting to speculate on how the show could achieve this in a more subtle way. I imagine a scenario in which a character, let's say Jake just for sake of example, works with another male character in some capacity. Maybe another quasi-hero, maybe some insider in Enforcer Headquarters or someone who helps him get parts and equipment and things, who knows. At some point in the series, they give each other a little wink or some other gesture. Just enough so that the astute viewer knows there's something going on, but not enough to explicitly push it out into the forefront. That's just one example, but it seems to me you would want *just enough* so as to still preserve the show's overall neutrality and not lose focus on the main subject. So then, the other part of the OP's question is how would everyone feel about a petition on the matter? Have you began one yet, Wooldoor? Felony wrote: So then, the other part of the OP's question is how would everyone feel about a petition on the matter? Have you began one yet, Wooldoor? Would I start a petition? No. Would I mention the idea to the creators in passing? Certainly. In fact it might be better just to start there. Maybe the creators would be receptive to the idea off the bat. Maybe a petition wouldn't be needed. Who knows? I can't speak for anyone else, but that's just as far as I would go personally. Mikazo wrote: but what about Hard Drive? He's a rebel, a techie and gearhead and seems to have a lot in common with Razor. I guess you could say the sparks were flying between them? Jacob1290 wrote: I guess you could say the sparks were flying between them? I'm sure they will have ampere opportunities to get to know each other.